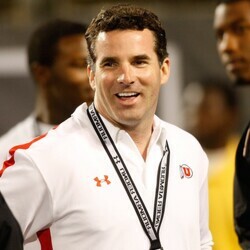 How much is Kevin Plank Worth? Kevin Plank net worth and salary: Kevin Plank is an American businessman who has a net worth of $1.5 billion. Kevin Plank is the founder, CEO and chairman of Under Armour Inc. which manufactures apparel, footwear and accessories for sports. 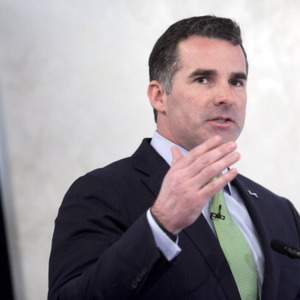 Born in Kensington, Maryland, Kevin Plank had academic issues during high school, and after transferring multiple times, he eventually graduated from St. John's College High School. He went on to the University of Maryland to major in Business Administration. While in college, he launched his first business, a Valentine's Day related rose seller. After college, he developed an idea for a shirt that would wick away sweat, and began searching for a material that would do what he wanted. After multiple prototypes, he hit on the synthetic material that seemed to work best, and he sent samples to his friends, many of whom were college or professional athletes. They wore the shirts and passed them on to colleagues. In 1999, his company, now called Under Armour, placed an ad in ESPN Magazine, and over $1 million in orders poured in. The company has grown exponentially since then, and Mr. Plank has been included on multiple lists of successful entrepreneurs under the age of 40. As the largest individual shareholder, Plank's net worth has soared (and soured) since the company went public. At the stock's peak, Plank's net worth was $6 billion. Between 2016 and 2018, UA stock dropped from an all-time high of $50 to an all-time low of $11. With the drop, around $4 billion in net worth was shaved from Kevin's pocket's. 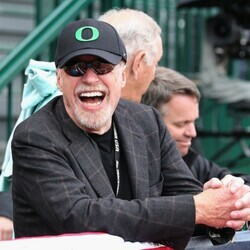 Who Are The Richest Sports Team Owners?